GIFT TIME : -15% on your apartment in Royal Tower. Іn December first house with a park on the roof presents a unique New Year offer. Get ready apartments at a special price! 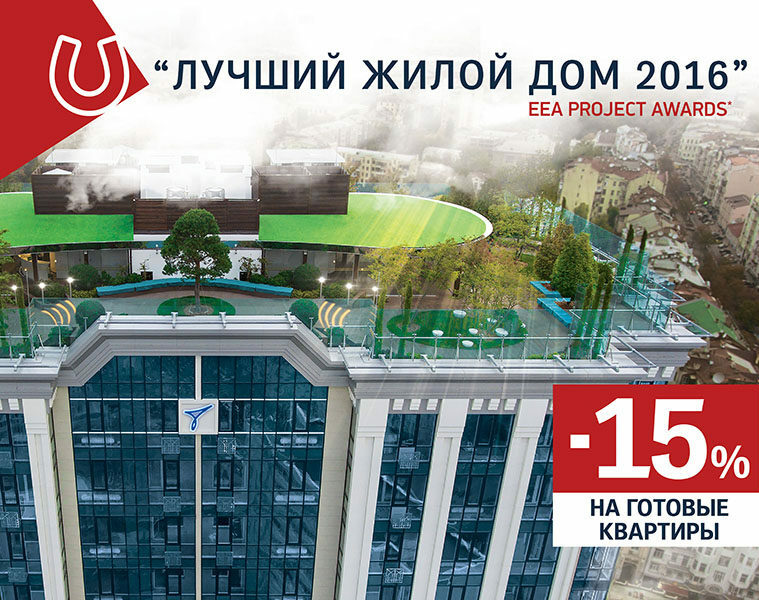 ROYAL TOWER – is the best project in the category “Residential building of the Year” and “Major discovery of the year” according to the EEA Real Estate Project Awards International Prize. We remind you that, Royal Tower has recently received mail-address: Saksaganskogo str., 37 K. The house was commissioned in July 2016.